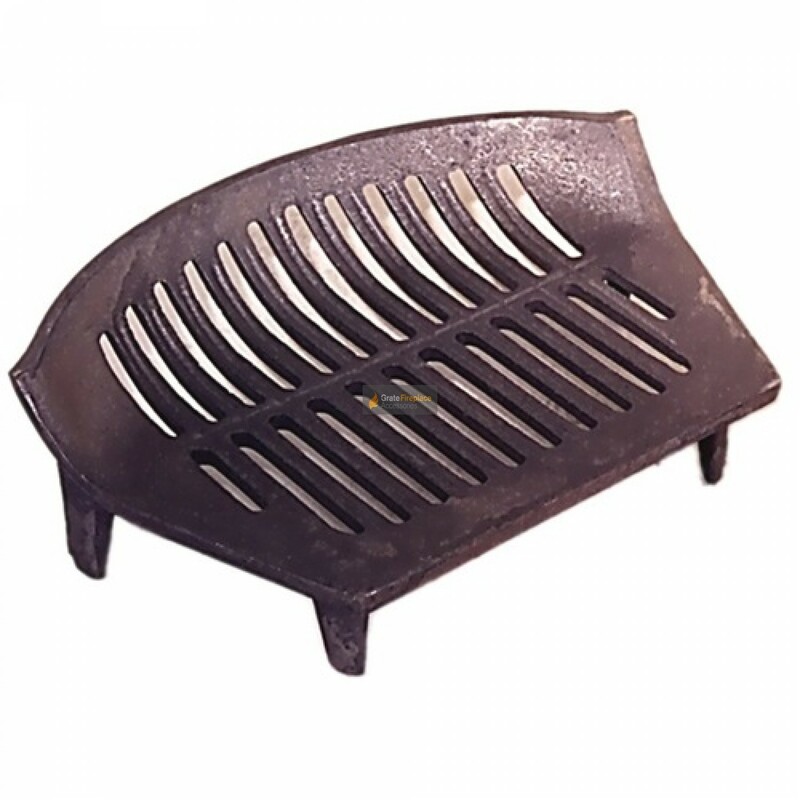 The 16 inch stool fire grate is made from sturdy cast iron, suitable for burning solid fuels such as coals, logs or smokeless fuels. How tall are the legs on this grate? The legs are 3" tall. Please could you confirm the 16" stool fire grate with 4 legs in cast iron actually is 15" maximally at the front as per your specifications. I would like to buy this size grate. Also if I do buy this grate please could you recommend the appropriate ash pan to go under it. The width at the front is in fact 15". The ash pan that fits this grate is the A011. Sound quality and the tool enabled me to get a good fit with the grate. Used the sizing tool on the website, was a little dubious and thought I would end up with a grate too big or too small.